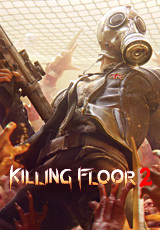 Killing Floor 2 will be the successor to an incredibly fun and successful original game released in 2009. All that you love in this game is back with a huge number of new features, characters, monsters and weapons, as well as an epic story. Keep track of the information! In Killing Floor 2 players go deep into continental Europe, where the epidemic caused by the failed experiment of the Horzine Biotech laboratory leads to destructive and non-reversible consequences, instantly paralyzing the European Union. Just one month after the end of the first part of the game, the monsters captured most of Europe, and human civilization was on the verge of extinction. Communication does not work, governments have dissolved, and military forces are systematically destroyed. Those Europeans who were ready for the end of the world and those who are just lucky, are hiding .. But there is still hope. A group of civilians and mercenaries joined together to counter the epidemic and, thanks to the funding of Horzine, created autonomous bases throughout Europe. Tracking the activity of monsters, players will make outings to the infected areas and carry out stripping. 3. Go to "Library" in the lower left corner, select "Add Game" and then "Activate in the Steam". 5. After activating the game will appear in the game list, and you can download it from Steam. Northgard ( GLOBAL / STEAM KEY ) ?